Okay, the image below looks like, well modern art. And, indeed, it is — but art with some great insight role public relations and other forms of modern communications has played in shaping modern society. 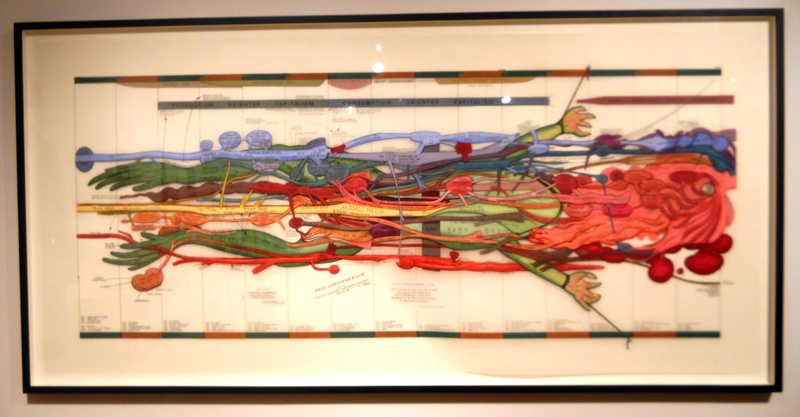 This image — probably inspired by one of those graphics showing the human anatomy — was part of an exhibition on display in one of the student galleries on the university campus where I work here in Chicago. Regrettably, I did not learn the name of the artist when I took this and the following photo images in August of this year. Along with the artist’s technical and creative skills, he or she was on target in communicating how government policy, world events and advancements in communication shape our world. 1. I think the image is a very cool and compelling piece. 2. It reinforces the value of using visuals to better communication and build awareness for a message. Think a modern infographic — but much more creative. Here are some close up views. 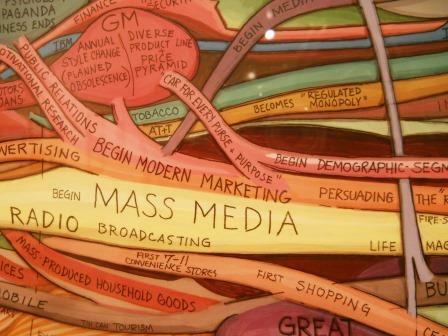 A close up shows the impact and offshoots of Mass Media and the beginning of modern marketing. 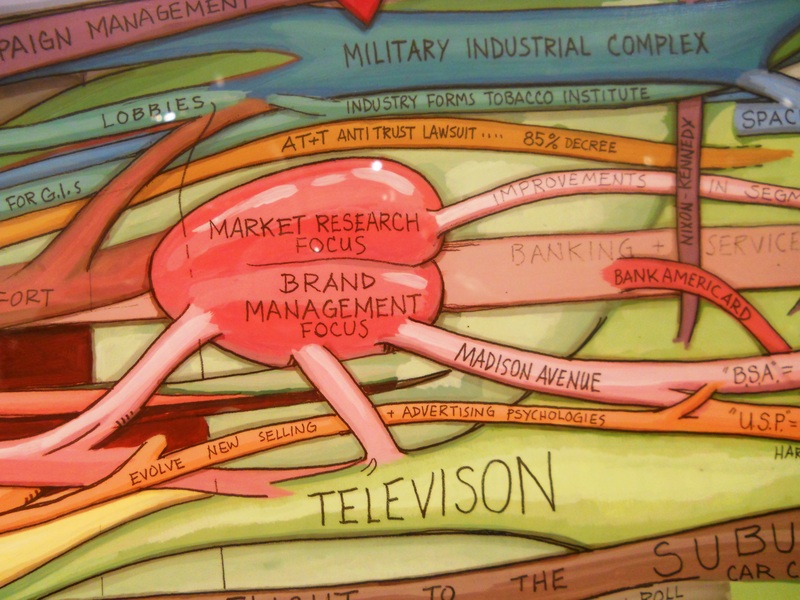 Note that Public Relations shares a “vein” with Advertising. And, this close up reveals the impact of Television on modern society, leading to what I guess is a “heart” that pumps Market Research and Brand Management. Sometimes those of us in the public relations profession — and advertising and marketing, too, I guess — lose sight of the fact that we’re a relatively small part of the general scheme of things. This awesome work of art puts that into a perspective anyone can visualize.